9. I'm thankful for the privilege of living in a peaceful country, where we can wake up in the morning following an election, and not be afraid of being in a war torn country. 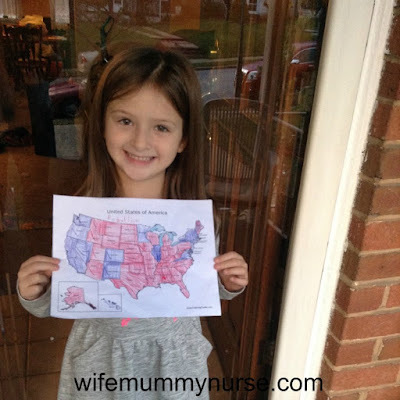 This is the map that Charis colored in of the electoral college election results.